Krasnoyarsk Customs informs the participants of foreign economic activities and all interested parties about the change from 4 September of 2018 year of the rules for the importation into the customs territory of the Eurasian Economic Union (EAEC) of auto- and mototransport vehicles and trailers to them. The amendment of the rules applies to natural persons who are recognized as having moved to a permanent place of residence in a state that is part of the EEMP, who have been granted refugee or forced migrant status. 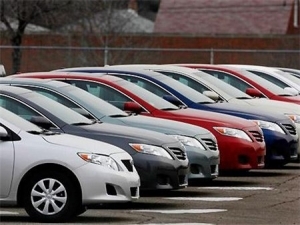 Imported vehicles must be owned and registered with an individual in the country of previous residence for at least twelve months before the date of issuance of a document confirming the corresponding status of an individual. Prior to the introduction of changes in the rules, the term "not less than 6 months", established by the Decision of the Council of the Eurasian Economic Commission No. 107 of 20.12.2017, "On certain issues related to goods for personal use", shall apply. Changes in the rules are introduced in accordance with Article 190 of the Federal Law 289-FZ of 03.08.2018 "On Customs Regulation in the Russian Federation and Amendments to Certain Legislative Acts of the Russian Federation". In addition, paragraph 5 of Article 194 of the said federal law enshrines the need to provide a citizen of the Russian Federation with a customs authority with information about the taxpayer identification number if the goods imported for personal use (except for goods imported in escorted luggage) are subject to release subject to payment of customs duties, taxes.